Everyday detritus. 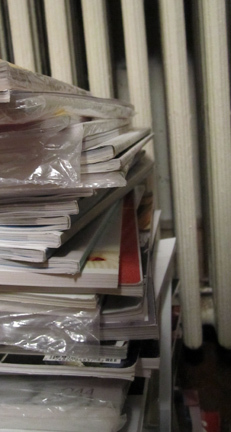 A good-sized pile o' magazines in my livingroom. They propagate with surprising speed!